Located in the city of Worcester, easily accessible from I-290, Route 20, Route 146, and the Mass Pike. The population of Worcester is approximately 181,000. St. Peter Central Catholic is a Central Catholic elementary school operated by the Diocese of Worcester. Students are from the city itself and from 22 surrounding communities. St. Peter Central Catholic has been accredited by the New England Association of Schools and Colleges since 1997. 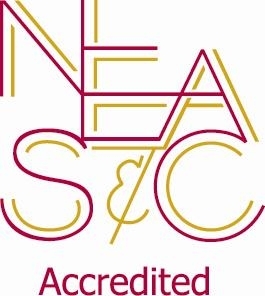 In 2017, we were awarded another 10 years of accreditation by the New England Association of Schools and Colleges in 2017. Since our initial accreditation in 1997, our school has elected to participate in this voluntary, comprehensive, and ongoing process of accountability in the spirit of our commitment to continual improvement. Each ten-year accreditation cycle includes an extensive schoolwide self-study, peer review, and feedback including follow up to ensure our school’s progress toward our goals.